It is the longest running horror anthology film series in the country. Since 1984 the film series never loses its touch to create several horror stories. 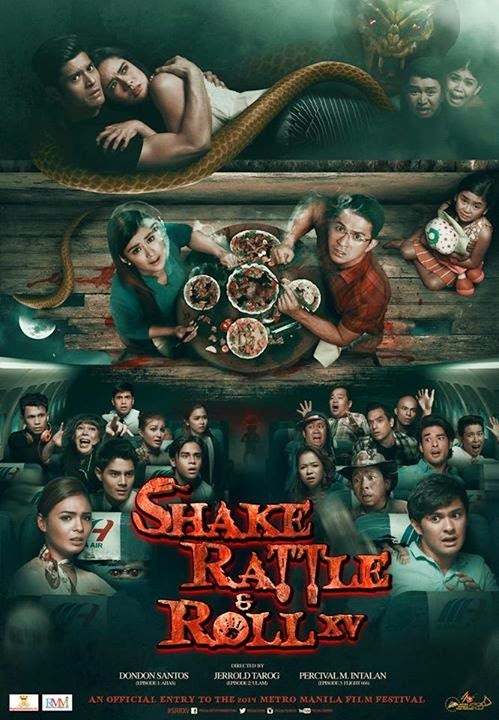 This year “Shake Rattle & Roll” will march through cinemas on the 25th of December as one of the official entries in the Metro Manila Film Festival 2014.Shake Rattle and Roll will be on their 15th installment this year and is said to be the most expensive installment in the “Shake Rattle& Roll” film series. It is produced by Regal Entertainment, Inc.. Starring on the film are Dennis Trillo, Lovi Poe, JC de Vera, Carla Abellana, Erich Gonzales, and Matteo Guidicelli. The Movie is directed by Dondon Santos ( Ahas), Jerold Tarog (Ulam), Percival M. Intalan (Flight 666). The film series is expected to have three different episodes in the movie. In this year’s installment the three horror episodes are entitled Ahas, Ulam, and Flight 666 respectively. On the first episode, Ahas, the story is about a mythical twin snake on a shopping mall that victimizes shoppers on the mall. This episode will be starred by Erich Gonzales, JC De Verra, Ariel Rivera, John Lapus, Melai Cantiveros, Jason Francisco, Gee Canlas, and Alice Dixon. The next picture is about a family that is being fed by their maid that soon turns them into monsters. It is starred by Dennis Trillo, Carla Abellana, John Lapus, and Chanda Romero. The last episode is plotted in a plane that is being hijacked. In the middle of the situation, a passenger gave birth to a tiyanak ( a mythical monstrous creature) and attacks all the passenger of the airplane. 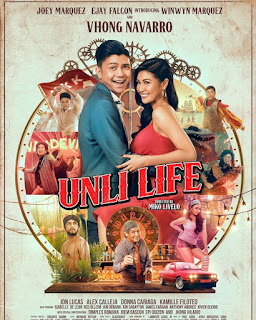 It will be starred by Lovi Poe, Matteo Guidicelli, Daniel Matsunaga, John Lapus, Kim Atienza, Bernard Palanca, Khalil Ramos, Yael Yuzon, Kiray Celis, Bentong, Nathalie Hart, IC Mendoza, and Betong Sumaya. Catch it in theaters near you on Christmas day.